Barb was the surprise hit of Stranger Things, with tons of “Barbettes” wanting the shunned BFF to seek her vengeance in Season 2 of the hit Netflix series. Well, looks like that Jimmy Fallon sketch isn’t going to happen. Stranger Things stars Millie Bobby Brown (Eleven) and David Harbour (Chief Hopper) chatted with fans at the show’s New York Comic-Con panel. Of course, the first audience question was whether “Justice for Barb” would ever come. After all, she only got a couple of episodes before being captured by the Demogorgon. Last we see her, she’s a rotting corpse in the Upside Down. Sadly, Harbour has confirmed that Barb will not be returning from the void to take her much-deserved revenge on all who wronged her. “I can assure you that Barb is very much dead,” he said. Even though Barb is dead, that doesn’t mean she’s forgotten. Harbour said Season 2 definitely doesn’t let Barb’s death slide, like it seemed to during the second half of the season. Come on, why was no one asking where Barb was? They kept looking for Will, but no Barb. What a joke. 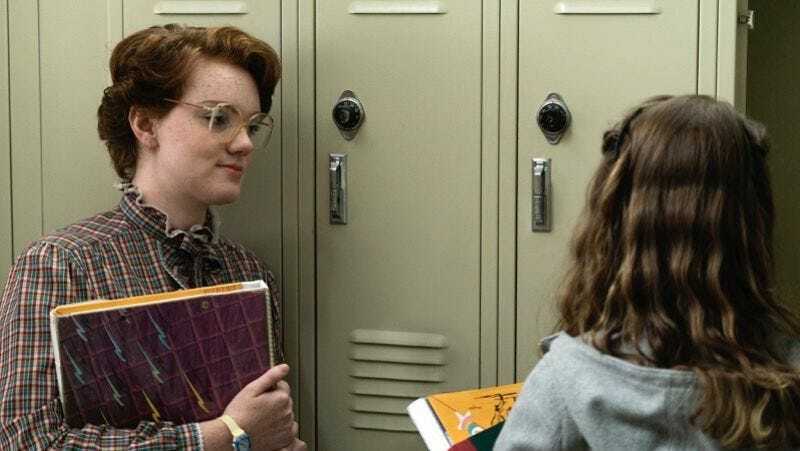 Plus, when chatting with IGN in August, co-creator Matt Duffer said Season 2 will explore the “repercussions” of everything that happened in the first season, including what happened to Barb. Let’s just say her parents are probably not going to let the whole “she ran away” thing slide anymore. Since, you know, rotting corpse. During the panel, Harbour said the next season will also explore Chief Hopper’s relationship with his daughter, which will be further showcased in flashbacks. Some have speculated his daughter is connected to Eleven somehow as a fellow superpowered kid, or that Eleven might actually be his believed-dead offspring. Stranger Things is currently filming Season 2, and the release date hasn’t been announced yet.